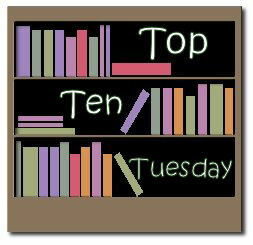 The question: Top 10 Best Debut Books. The list: At first glance we were quite intimidated by this week’s topic, mainly due to our lack of knowledge in this arena. Fortunately, the wonderful website of Goodreads, helped transition us from a naïve pair of bloggers into a formidable debut novel knowledge center. In the end, it was nearly impossible to narrow our choices down to only 10. Harry Potter and the Sorcerer’s Stone – Maybe you’ve heard of this one, but it’s kind of a big deal in the world of literature. Gone with the Wind – Our only wish is that this novel had as many sequels as our previous selection. I Capture the Castle – Quite possibly our favorite novel of all time let alone a fantastic debut novel. The Hobbit – The perfect blend of trolls, dwarves, wizards, dragons, gigantic eagles, and short creatures with really hairy feet. To Kill a Mockingbird – Our wish for this novel is eerily similar to choice number 2. Actually, we’d have taken a 2nd novel of any topic written by Ms. Lee. The Hitchhiker’s Guide to the Galaxy – Wouldn’t it be amazing to get inside the head of someone who can create this type of work? On second thought, maybe it’s safer to stick with his books. The Thirteenth Tale – Please, please, please Ms. Setterfield, write 13 more tales. Jane Eyre – In our not so humble opinion, this is the greatest of all the Bronte works. Plus, if it wasn’t for this novel we’d have been forced to find a replacement for choice 7. Sense and Sensibility – While there’s hardly an end, Ms. Austen greatness had to start somewhere. We added links to each choice in case further encouragement is needed. Doesn’t this get you excited to discover the next great debut novel! I cannot believe I left Jane Eyre off my list... It's just not possible.. Loved the Eyre Affaire as well, and yay for Gone With the Wind. Though not officially a sequel, I did enjoy Scarlett by Alexandra Ripley as well. I almost put Jane Eyre on, too, although something made me think that it wasn't her debut? You and I have some similarities - great list! I love this list--so many of my favorites include Jane Eyre (who did not my list, I think I just did the best debuts of the last ten years. Stupid me) and The Eyre Affair. Fforde is amazing. And Gone with the Wind sequels? By the actual author? Swoon. I have had I Capture the Castle on my shelf for years waiting to be read. I really need to break it open! Interesting, but I see mainly older books. The Thirteenth Tale seems to be the newest. I hope some of the 2011 DAC books catch on. I've read a lot I really like. All of these are great books! I love Jane Eyre and am really glad to see it on this list. I'm so so glad a Jane Austen work made this list! I can't believe I didn't realise I capture the castle was a debut novel! I feel I must revise my whole list now! Scarlett made for an interesting read...I used to have the movie, though their Vivien Leigh and Clark Gable stand-ins weren't quite up to par. Hitchhikers Guide is one of those books I really should read! Three of your books are on my list as well - The Hitchhiker's Guide, The Eyre Affair, and Jane Eyre. The Thirteenth Tale is on my tbr pile, and since this is the second time it's come up, I'm starting to think I should get around to reading it soon! I just discovered your blog through Top Ten Tuesday and I'm a new follower. I had to do a bit of research for this list as well. I've heard lots of good things about The Thirteenth Tale, so I've got it on my TBR. Oh man, great list! Hitchhiker's Guide is hysterical, The Thirteenth Tale is creepy and awesome, and Jane Eyre and The Eyre Affair are two of my favorites. You've both got fabulous taste! Thanks for stopping by my blog, and happy reading! Your list is the list I had in my head and then I produced something else. Ha! Gone with the Wind, of course! Thirteenth Tale, yup! and for a true Janite you'd think I would have remembered to add Sense and Sensibility, but I didn't.